Enter your email address to subscribe to LinkUp’s data blog and receive notifications of new posts by email. 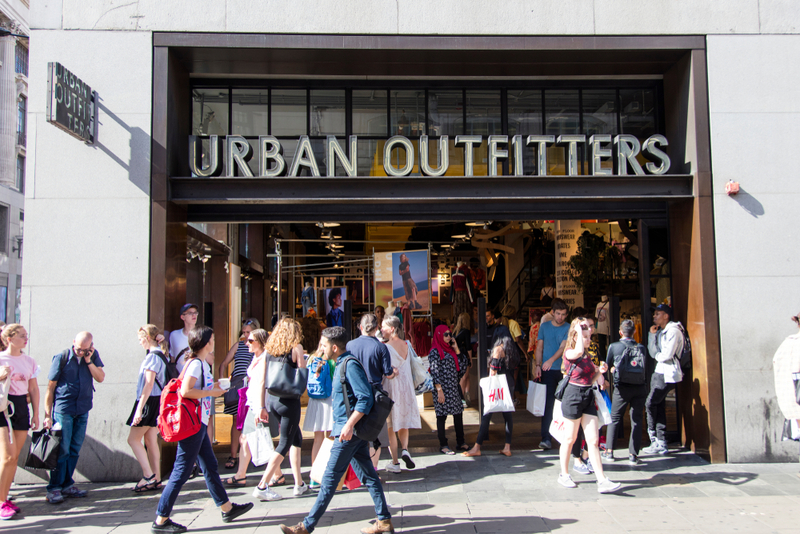 Could Urban Outfitters be the next retailer to file for bankruptcy? It seems like every day there are stories in the news about retailers closing stores or filing for bankruptcy. As 2019 commences, everyone is getting into the guessing game of who will file for bankruptcy next. At LinkUp we have a unique perspective on retailers as we track their job openings. Job openings are often a window into the future as companies tend to pull back their jobs if trouble is on the horizon. 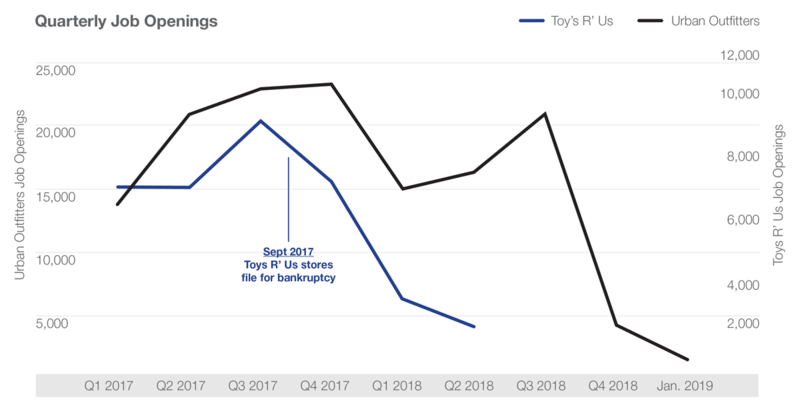 The graphs below show job openings for several retailers before and after they filed for bankruptcy. Bon-Ton, Nine West, and Toys R’ Us all showed declining job openings preceding their bankruptcy filings. With that in mind, Urban Outfitters hit our radar recently as we noticed a huge drop in job openings on their website right around September 2018, which continued through the busy holiday shopping season. Additionally, earlier this month Urban Outfitters shares were down 3% after announcing unremarkable holiday same-store sales. All of this strikes us as very suspicious and perhaps an indication of a bankruptcy filing coming in 2019.